1. Virgin Australia Supercars Championship leader Fabian Coulthard will start his 150th round at Barbagallo. The British-born Kiwi becomes just the 25th driver in championship history to reach the mark having made his debut back in 2004 at the now defunct Oran Park in Sydney. 2. 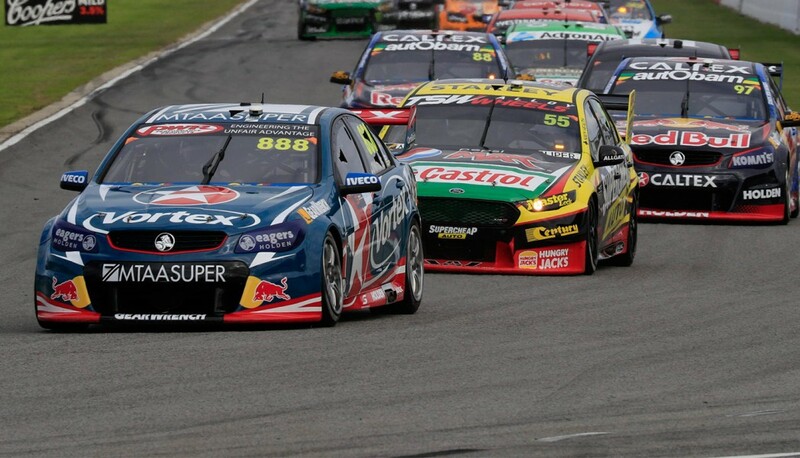 This year’s Perth SuperSprint is the 40th time that Barbagallo Raceway (originally known as Wanneroo Raceway) has hosted a round of the Virgin Australia Supercars Championship. The first event was held there back in 1973 and was won by Allan Moffat in a Ford Falcon GT-HO. 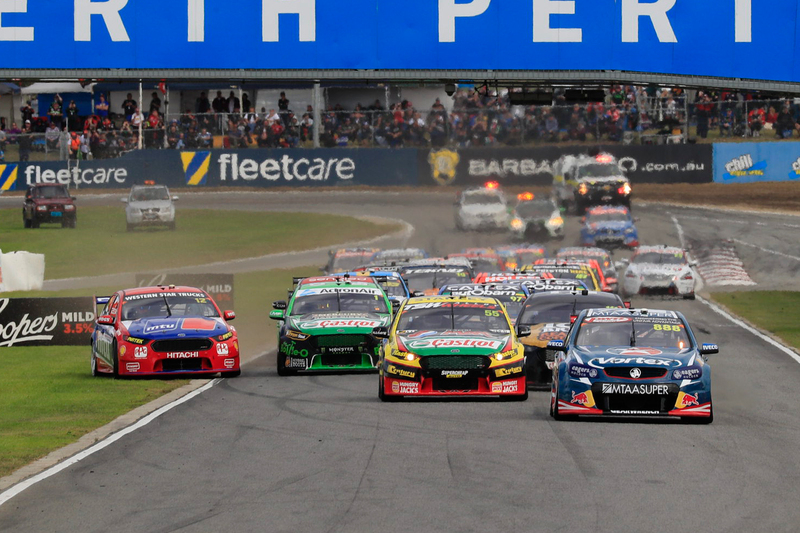 Only Sandown and Symmons Plains have hosted more championship rounds than Barbagallo. 3. TeamVortex’s Craig Lowndes holds the record for the most race wins in championship history at Barbagallo - a whopping 16. The venue has given him more of his 105 championship race wins than any other and he has finished on the podium in seven of the last nine races there. 4. 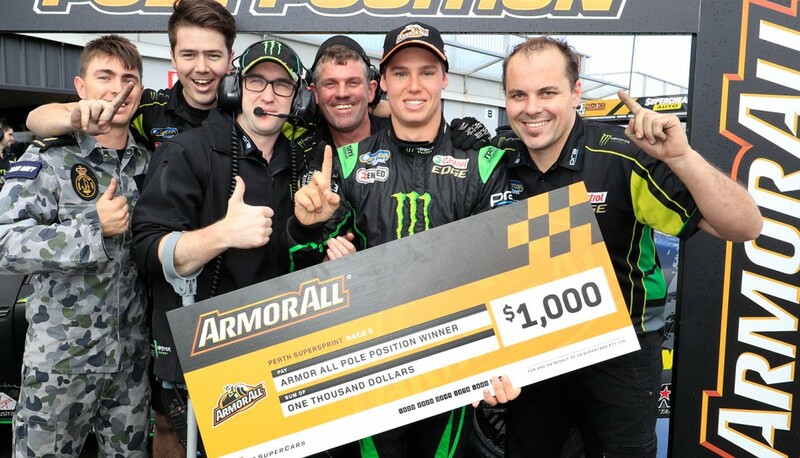 Prodrive Racing Australia-run cars have taken the last five pole positions in a row at Barbagallo between Chaz Mostert, Mark Winterbottom and Cameron Waters, who have clean swept the poles at the 2015 and 2016 events. The record for most poles in a row at Barbagallo is six, set by the Holden Racing Team between 1995 and 2000. 5. Triple Eight and Prodrive are the teams to beat in Perth; between them since 2012 they have taken 34 of the last 42 available podium positions at Barbagallo - 80% in total. In those 14 races the two teams have locked out the podium on eight occasions. 6. Qualifying on the ARMOR ALL Pole Position is no guarantee of a driver winning a Supercars race at Barbagallo. Just six of the last 19 races there have been won from pole position. 7. Of the 46 Supercars Championship races held at Barbagallo since 2000, the Vodafone Safety Car has appeared in exactly half of them - 23. For two of the last three years the Safety Car has not been called onto the track for the entire Supercars race weekend at Barbagallo. 8. Barbagallo Raceway is the only track in championship history to have hosted two 1-2-3 finishes by a single team. The Holden Dealer Team (Peter Brock, John Harvey and Wayne Negus) managed it in 1978 and last year Triple Eight Race Engineering (Craig Lowndes, Shane van Gisbergen, Jamie Whincup) repeated history. 9. Last year’s Sunday race saw the top 21 cars qualify all within half a second of one another - this remains the most number of cars within half a second of pole position in championship history at Barbagallo. 10. MEGA Racing’s Jason Bright still holds the Barbagallo lap record, set way back in 2004 just after the track had been re-surfaced. Bright set a 55.9440s lap in his PWR Racing Commodore VY on his way to victory in that weekend’s Race 3.